Developers built thousands of metro Phoenix condominiums over the past few years. No one was sure how quickly they would sell. But buyers did come. New condo sales soared 57 percent last year, according to The Arizona Republic/azcentral.com Street Scout Home Values report. Buyers opted not only for new condos but older ones in the Valley, with condo sales overall climbing 12 percent in 2017 from an already heady level in 2016. It could be more people wanting to live closer in and own lower-maintenance homes. It could be that condos were the most affordable option for some homebuyers. It’s likely both. Baby Boomers who have become empty-nesters and Millennials who want to buy instead of rent are driving the trend. Both groups are typically buying condos to be closer to restaurants, shops, bars and jobs. Some want to walk to those spots instead of drive. Last year, Lisa and Gregg Larson bought a new luxury condo in central Scottsdale’s Enclave at Borgata. They moved from north Scottsdale to be closer to places they like to hang out. “We can walk to shopping and restaurants, and we are only a $5 Uber ride from Old Town,” Gregg Larson said. Last year, 18,370 condos sold across metro Phoenix, according to data from the Information Market. That’s up from 16,397 in 2016. About 1,500 of last year’s sales were for new condos. New Valley condo sales likely set a record in 2017. It’s tougher to track that market historically because it has traditionally been such a small part of metro Phoenix’s housing market. In comparison, there were more than 90,000 single-family home sales in the Valley last year. The big new Valley condo projects that opened last year drove up prices. David Newcombe, a condo expert and co-founder of Scottsdale-based Launch Real Estate, said buyers are typically paying 25 percent more for new condos in central locations than for older ones in the same area. He said more 300 of the new-condo sales during the past few years were in three projects: the Borgata, Portland on the Park in downtown Phoenix and Optima Kierland in Scottsdale. The overall median condo price in Paradise Valley’s 85253 ZIP code, the address for the Borgata condos, climbed 48 percent to almost $406,000 in 2017. The median price for a new condo was $1.33 million in that area last year. In downtown Phoenix’s 85003 ZIP code, where Portland on the Park condos started selling in late 2016, the median price for a condo jumped almost 62 percent to $410,000 in 2017. The median price for a new condo was $456,000. The median price in Scottsdale’s 85254 ZIP code, where the Optima Kierland tower is located, is still being tallied, but we know it’s much higher than the resale-condo price of $322,000 for the area. “Some of the most expensive new condos are drawing the most buyers,” said Tina Tamboer, senior housing analyst with the Cromford Report. Developers recently announced a few new condo projects, including a 25-story tower at downtown Phoenix’s Collier Center. Prices are expected to climb for the next wave of Valley high-rise condo projects because of the rising cost of land and construction. Condo-market watchers are anxiously waiting to see how much buyers are willing to pay. Newcombe said condos in new towers have been selling for about $400 a square foot. Condos in the next wave of residential high-rises could cost $550 a square foot. If buyers aren’t willing to pay more, the towers might not go up. The El Dorado on 1st in downtown Scottsdale’s art district, designed by award-winning architect Will Bruder, with condos priced above $1.5 million, southeastern corner of First Street and El Dorado Lane. Scottsdale’s Main Street Place, developed by LVA Urban Design Studio, at Main and 75th streets, starting above $800,000. 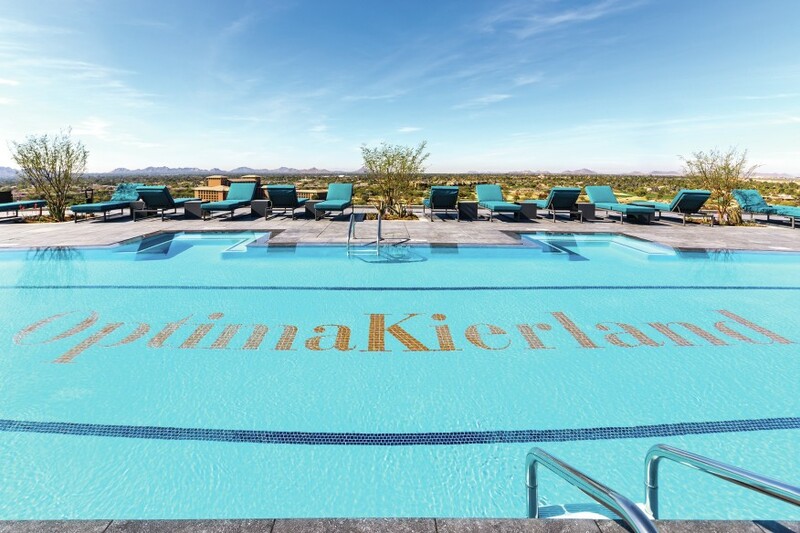 Optima Kierland on the Scottsdale/Phoenix border near Scottsdale and Greenway roads, from the $300,000s to $6.5 million. Scottsdale’s Silverleaf neighborhood of DC Ranch, starting above $1 million. Phoenix’s Portland on the Park condo mid-rise development at Central Avenue and Portland Street, ranging from $400,000 to more than $1.3 million. en Hance Park at 1130 N. Second St., Phoenix, starting above $150,000. The Cays at Downtown Ocotillo, 2511 W. Queen Creek Road, Chandler, mid-$200,000s. artHaus at 1717 N. First Ave., Phoenix, $255,000 and higher. Edison Midtown at 3131 N. Central Ave., Phoenix, $250,000. Contour on Campbell, 1702 E. Highland Ave., Phoenix, starting at $320,000. The Mason Townhomes, 1400 E. Bethany Home Road, Phoenix, starting at $406,000.